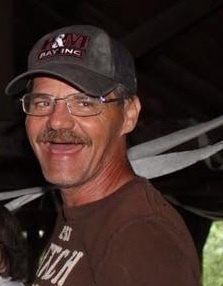 Lawrence "Larry" A. Wayman Jr.
“ In Loving memory of Lawrence A Wayman JR. 51, Who passed away on September 17th 2018. He was predeceased by his father Lawrence Wayman SR. He was survived by His Wife Catherine Wayman, 5 Daughters, Katie Wayman, Ashley Silvernail, Heather Neer, Jenna Wayman, Rachael Witteman. Two son in laws Nicholas Neer and Kenny Silvernail. 8 Beautiful Grandchildren, Khloe, Carter, Kayleigh, Jayden, Cooper, Alexis,Raenee and Gracie. His mother Dianne Wayman, 3 Brothers, Terry, Gary, Jerry. 1 sister Sheri. 4 Sister in laws, Shannon, Christina, Jessica, Karen. 2 Brother in laws Ronnie, and Bill. Also survived by many nieces and nephews and his good friends David Witteman, Bobby Griswold. And many many other great friends. Larry dedicated his life to his Family. He enjoyed family camping trips to ocean city Maryland, Fast cars, Truck driving, or pretty much being behind the wheel of anything fast. He was a great man and He will be remembered and missed by many. A funeral service will be held at 3pm Sunday, September 30th at the United Methodist Church in Harpursville, N.Y.